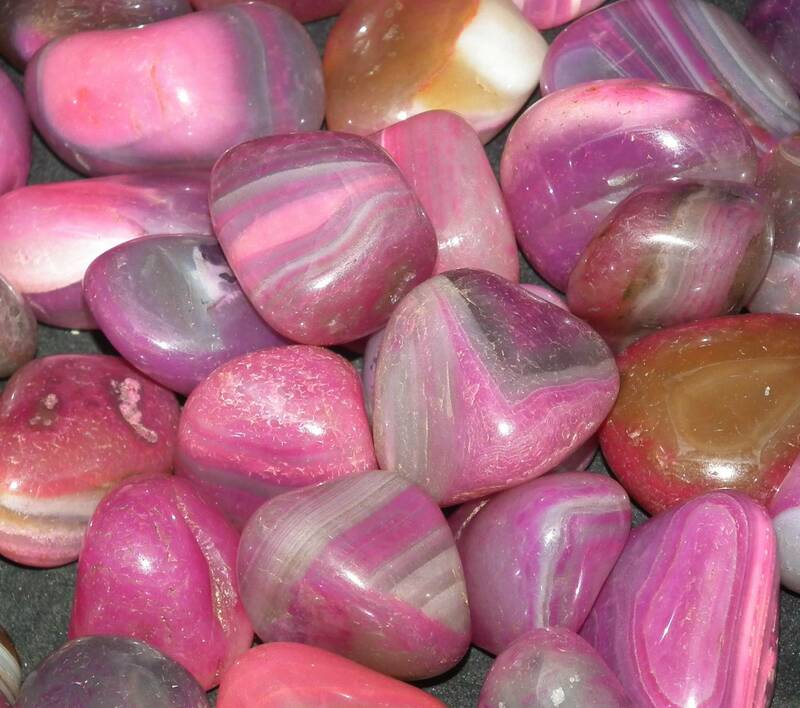 Lovely banded Agate tumblestones, sold in their natural colours and in a range of bright dyed shades too. Lovely tumbled banded Agate pieces, sold in a few colours – natural brown colours and a few brighter dyed colours too. We sell these tumblestones in three sizes, from 10-40MM approximately. 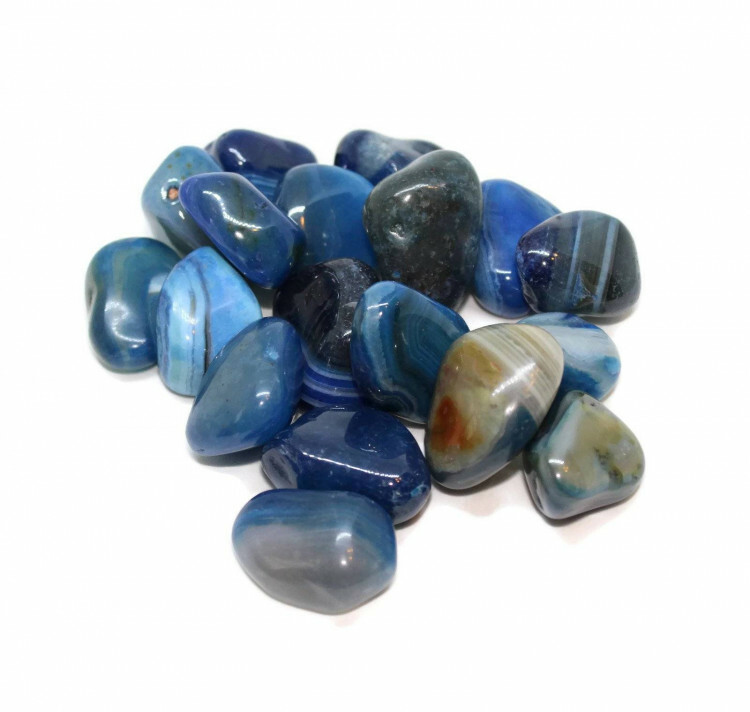 The bright dyed stones are quite eye-catching and are typically a favourite of children. 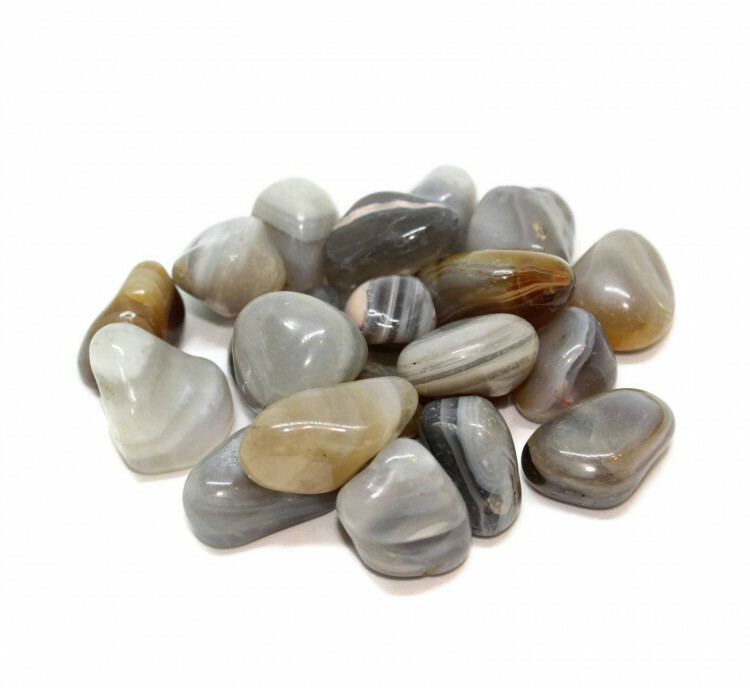 They look great in vases and flowerpots and can be used as contrast stones with a fair few different colours! 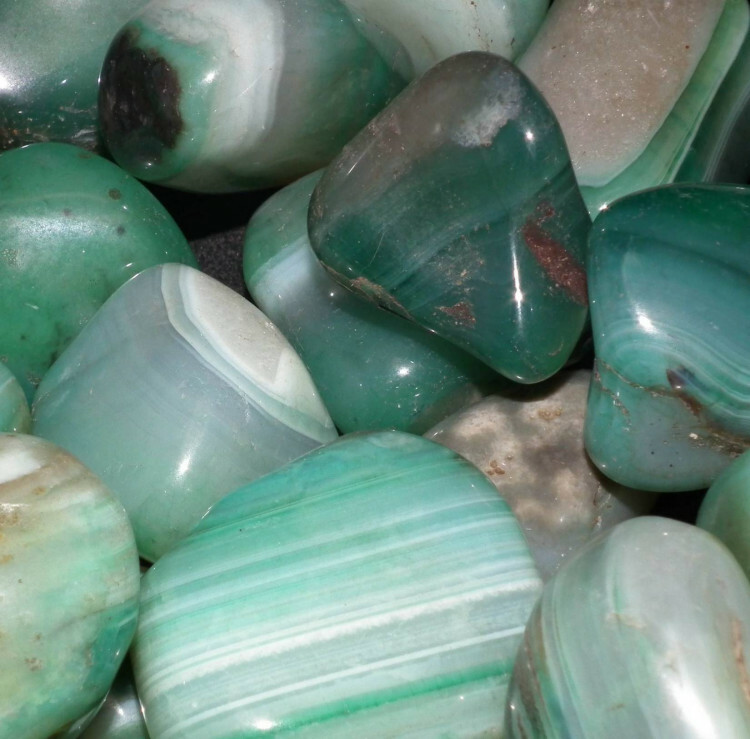 Keep an eye on this page – we are planning to add more colours soon.